Hello! The girls from Eighteen25 back here today to share one of our all-time favorite treats with you…. 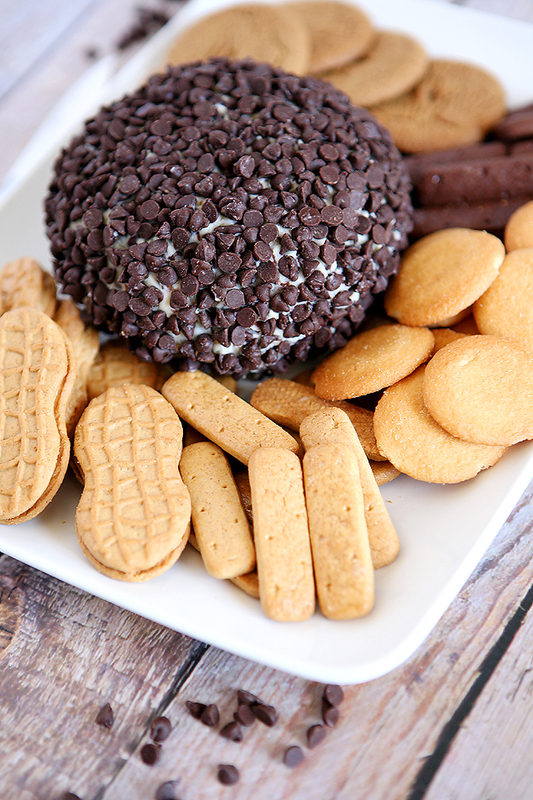 a dessert cheese ball. Are you a fan of cheese balls? Well, we most definitely are. I mean, if it includes cream cheese I am usually it’s number one fan! How about you? 🙂 This cheese ball is not like most you’ve probably had. It’s sweet and delicious and I think you’re going to love it. 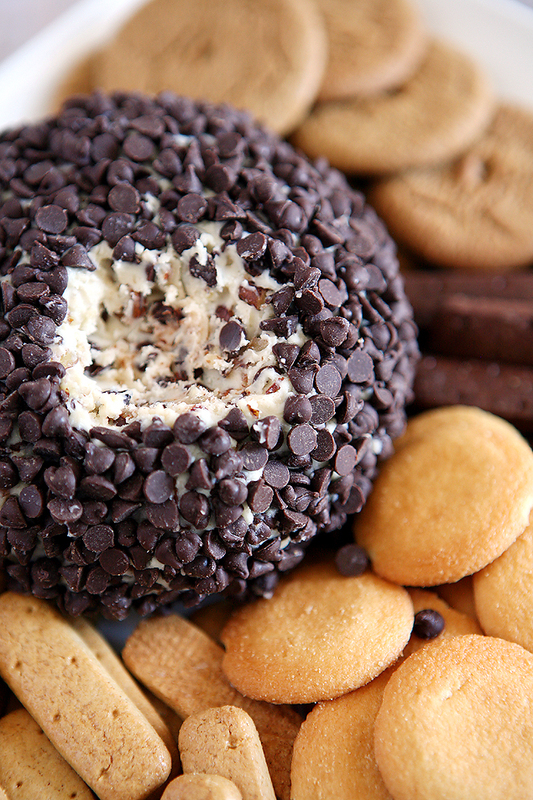 This chocolate chip dessert cheese ball is simple to put together. It does take a little time because it has to chill, but the actual prep time is super quick. Beat together cream cheese and butter until smooth. Mix in confectioners sugar, brown sugar and vanilla. Then stir in half (1/2 cup) of chocolate chips and all of the nuts. Cover and chill in the fridge for about 2 hours. Then shape the cream cheese mixture into a ball shape and cover with plastic wrap. Chill in the fridge for another hour. 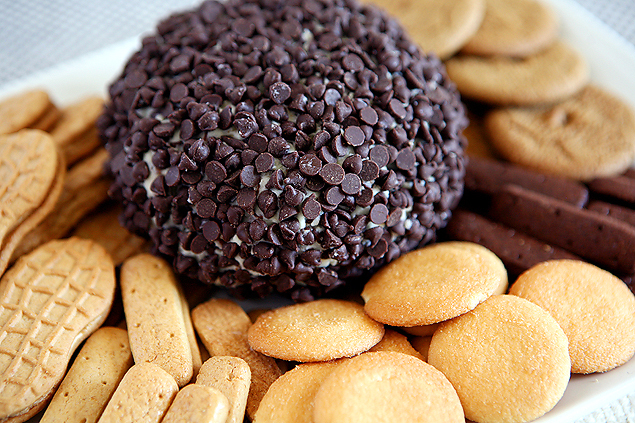 Roll the chilled cheese ball in the remaining 1/2 cup of chocolate chips and serve with your graham crackers and cookies. Then dig right in. It’s like a yummy cheesecake shaped into a ball. 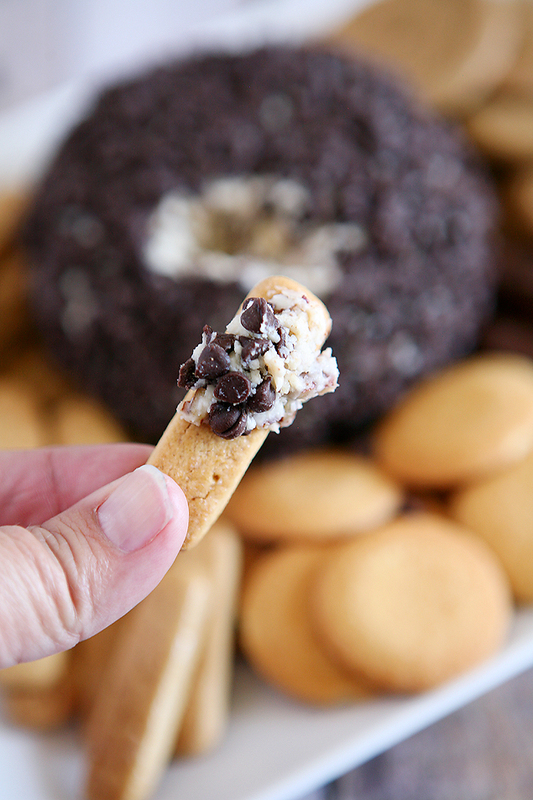 We serve ours with some graham cracker sticks and a few different types of cookies. I think it would also be delicious with apples! In all honesty… all I really need is a spoon, but that may not be the best idea if you’re serving it for a get-together. 🙂 Hope you give it a try and for more Tried and True Recipes come and visit us over on our blog at Eighteen25.